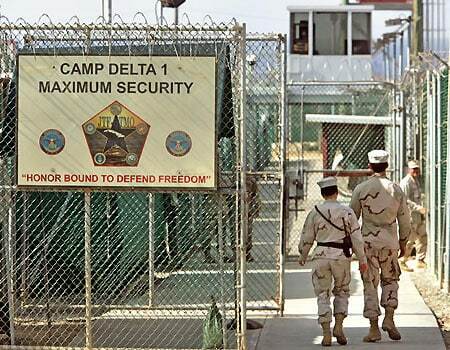 The United States remains on the path to close down the notorious prison camp of Guantanamo Bay, Cuba. The Obama administration is still moving within its power to proceed with these plans even though, due to several snags, the January deadline has been exceeded. There were many things contributing to the hold up including, but not limited, to inconsistencies in prisoner information, as well as opposition from some congress members and the issue of finding countries prepared to accept them all. The German government, which has always supported the closing of the prison camp, recently stated that they are willing to discuss the possibility of accepting some of the detainees. As reported by Jurist News, German Chancellor Angela Merkel, Interior Minister Thomas de Maiziere and Foreign Minister Guido Westerwelle have suffered backlash over their possible plan to accept three transfers to Germany. Various German statesmen feel that Germany should reject the former inmates on the premise that its not Germany's responsibility to accept them, according to the Epoch Times. Concern has arisen regarding alleged returns to Afghan battlefields by former detainees and the fear of whether the prisoners could pose a threat to German society.